There has been growing attention to urban agriculture (UA) worldwide because of its role in making cities more sustainable from an environmental perspective while also contributing to the role farming and gardening in the city contribute to social justice. 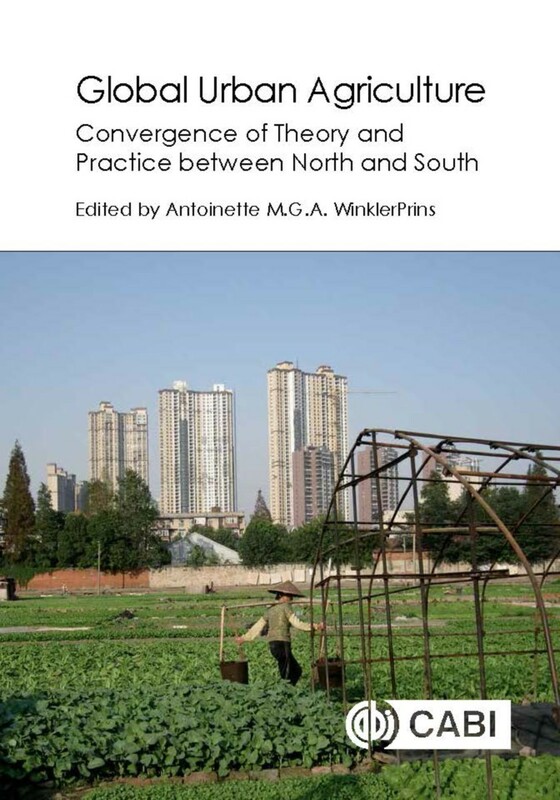 This edited volume brings together current research and case material about urban agriculture from both the Global North (GN) and the Global South (GS), revealing greater areas of overlap than difference both theoretically and substantively, and that research in one area can help inform the other. It explains how urban agriculture supports livelihoods, provides ecosystem services and community development; its contribution to social capital, networks, and agro-biodiversity conservation. Antoinette WinklerPrins is at Johns Hopkins University.